NPR's Most Popular Global Health And Development Stories Of 2016 : Goats and Soda Our 10 most popular global health and development posts in 2016. 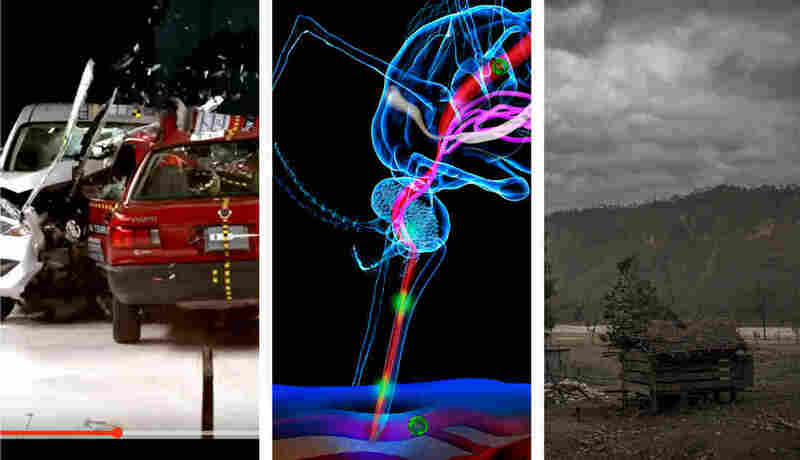 From left: A scene from the video of a car crash test; illustration of a mosquito transmitting the Zika virus; a menstrual shed in Nepal. It's always interesting for the Goats and Soda team to look back and see which stories got the most clicks. Sometimes, we have a hunch about what will be a hit — like our guide to mosquito repellents, which we published at the onset of the Zika epidemic. Other times, we're surprised by the degree of interest in topics that aren't exactly top of mind — suicide in Greenland, for example. Among the 568 global health and development stories we posted on our blog in 2016, here are the top 10 by page views. Three of the 10 most popular stories on Goats and Soda had to do with the Zika epidemic, a major global health concern in 2016. The piece that took the No. 1 spot, with more than 1.6 million page views, was a practical guide on how to keep mosquitoes from biting by Susan Brink. The story came out in January, at a time when scientists told Zika-fearing public some very unpractical advice: Don't get bitten by mosquitoes. But just how the heck do you do that? The expert advice was sometimes surprising. Don't wear Spandex, for example, because the critters can bite right through leggings. Products that included DEET, a chemical that's the active ingredient in many insect repellents, topped the list, but Victoria's Secret perfume could work in a pinch. Studies show it's more effective at keeping the bugs at bay than a mosquito skin patch. Other Zika-related stories in our top 10 included the number of cases that were diagnosed during the Olympics (spoiler alert: zero) and a collection of images that demonstrate how Zika damages a baby's brain. A small island sits in the middle of Kangeq's old harbor. 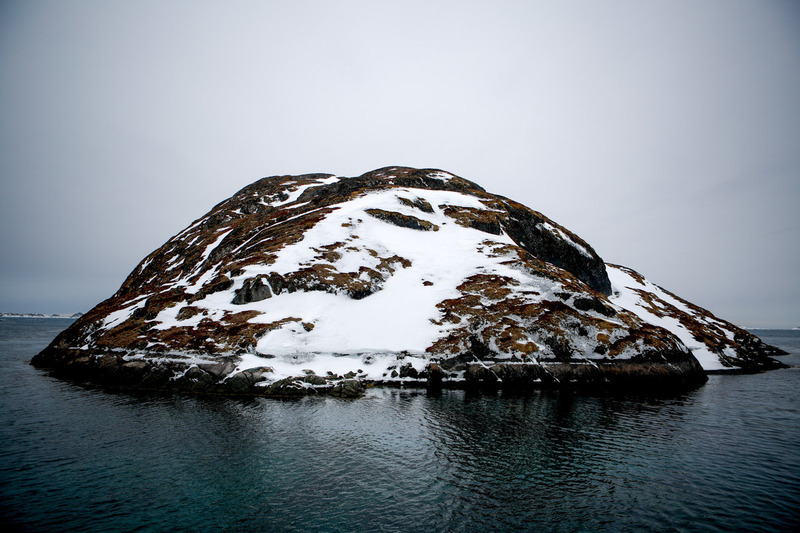 In the indigenous Inuit community in Greenland, there's an alarming problem: Young men are committing suicide at very high rates. Reporter Rebecca Hersher spent three months in the country to find out why — and discovered it's not the dark that kills them. She tells the story of two activists struggling to save the lives of Inuit youth. It's a tragic story shrouded in a little-known cultural practice. In November, a 26-year-old woman in Nepal named Dambara Upadhyay died while sleeping in a hut outside her house. 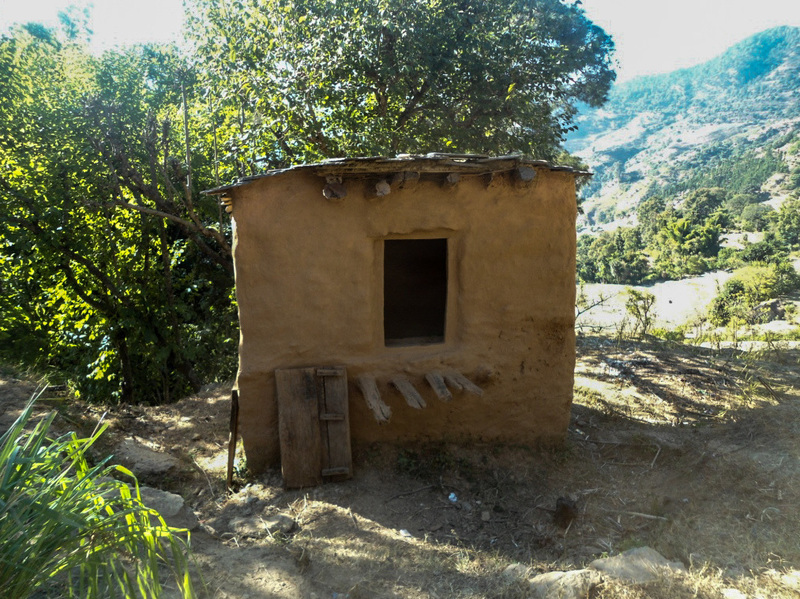 In some parts of Nepal, it's common for women who are menstruating to sleep outside the home in a hut or shed, for fear that they will make other family members sick or anger the gods. No one knows how she died — some suspect a heart attack — but her death made headlines around the world. The practice is outlawed, but now government officials want to make sure that families who enforce it are punished. And some people in Upadhyay's town said they'd stop making their daughters and daughters-in-law do it. Yet it's still happening. Within a month of Upadhyay's death, a 15-year-old named Roshani Tiruwa died in a menstrual shed in the exact same district. In November, results from a vehicle safety video were released showing two cars from the same manufacturer, one made for the Mexican market and one for the U.S. market, smashing into each other at 35 miles per hour. The Mexican version of the car, as reporter Erin Ross wrote, "crumples like an accordion," while the frame of the American model remains relatively intact. Ilhan Omar, a Democratic candidate for state representative in Minnesota, gives an acceptance speech on election night in Minneapolis. 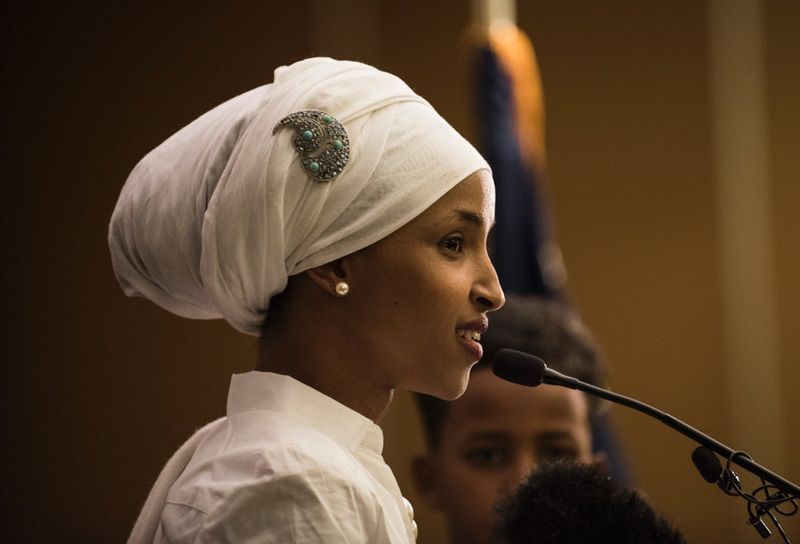 One of our most-read stories of the year came a couple of days after the U.S. election — when Ilhan Omar, 34, became the first Somali-American lawmaker in the United States. Omar had many odds against her. Not only is she a Muslim, a woman and a mother of three, she is also a former refugee. To escape the Somali civil war, she and her family fled to a refugee camp in Kenya, where she spent four years. And when she got to the United States, she barely spoke English. Yet she won House District 60B in southeast Minneapolis with 80 percent of the vote. "This was a victory for every person that's been told they have limits on their dreams," she said. Scientists found a 4 million-year-old superbug that's resistant to 70 percent of antibiotics. A Ghanaian boy with a cleft was saved from sacrifice by a $250 surgery to correct the birth defect. And reporter Michaeleen Doucleff's piece on back pain from 2015 re-emerged this year as a hit.